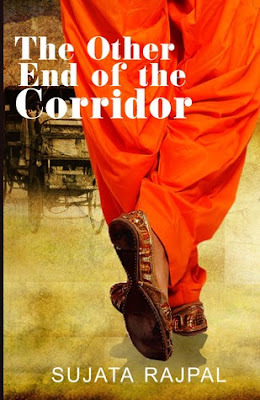 After reading the book, the first thing that came across me is that ‘The Other End of Corridor’ can easily be classified under the books which speaks about the contemporary works about women in society. It is a bit slow at the start but once you start turning the pages, you will definitely be engrossed in the middle class life of Leela Chopra. The book talks about Leela’s journey in a society that is biased against women. The book in a way is a voice of hundreds of thousands of women who are forced into marriage, suffer beatings and lacks courage to speak up but not in the eyes of debutante author Sujata Rajpal. The main protagonist eventually finds a voice through her dream. She decides to walk on the corridor of freedom towards a path to rediscover herself and life. The author has conveyed plenty of emotions through Leela’s journey and the situations she faces in front of her. Without telling much, she has managed to convey much more through smart choice of words and a deep understanding of issues women face, although at times, I felt the story to be a bit predictable. But taking nothing away from the author, the way she has etched the central character, the story line and descriptions of some of the incidents is what made the book worth reading for me. The author with her superb writing skills has brought some of the incidents to life and is asking all those women who are suffering in some way or the other to find your corridor towards freedom. I didn’t find ant proof reading mistakes and the editing seems to be perfect. Overall, The Other End of The Corridor is a sensitive and a different read from all the romantic ones and is a must read for both women as well as men.